Frederick Bennett, who had a Ngāti Whakaue mother and an Irish father, was ordained as an Anglican priest in 1897. He spent 13 years as superintendent of the Māori mission in Rotorua before moving to Hastings for mission work in Hawke’s Bay. The idea of a Māori diocese with its own bishop was a response to the formation of the Ratana Church, which threatened to draw Māori away from established churches. For three years, there was deadlock between Pākehā bishops, who insisted that the first bishop be Pākehā, and Māori Anglicans led by Āpirana Ngata who were adamant that he be Māori. The eventual solution was a classic Anglican compromise: the creation of a titular bishopric with no territorial jurisdiction. 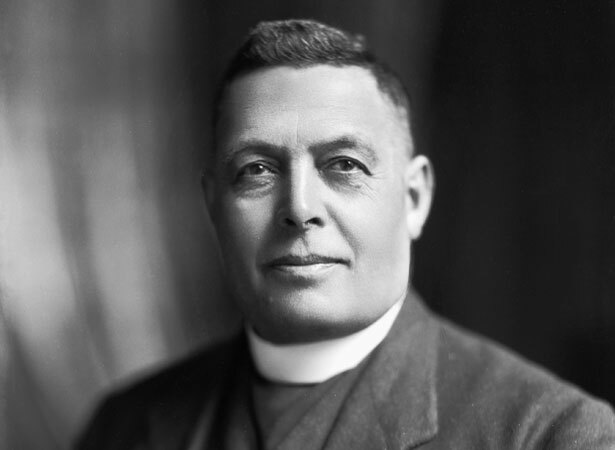 On 2 December 1928 Frederick Bennett was consecrated as Bishop of Aotearoa in Napier Cathedral. As assistant to the Bishop of Waiapu, he ministered to Māori throughout the country under licence from diocesan bishops, many of whom opposed this arrangement. The awkward system lasted until 1978, when the Archbishop of New Zealand took over the licensing process. We have 8 biographies, 2 articles, related to First Bishop of Aotearoa consecrated .